As the first autumn leaves begin to fall we’re excited for the holidays that are on the way. One in particular we love most is Halloween. A holiday traditionally reserved for remembering the dead, it’s also an opportunity to don the guise of your favourite character- horror related or not- and have a little fun. So whether you’re heading out trick-or-treating, attending or hosting a party or planning a movie night, we share our 3 favourite movie related Halloween characters and how you can complete the look from the one-stop shop at Claire’s to get the festivities off to a spooktacular start. As a mother and daughter duo the Addams women are fearless and one of the easiest Halloween looks to recreate. So whether your preference is Morticia or Wednesday or you want to recreate the look for you and your mini me, we show you how. Black wig– Section into plaits for Wednesday Addams. Red lipstick– apply thickly for Morticia, whilst Wednesday would have a slight hue of red to her lips. The fiery seductress is the badass of the DC comic’s world. No man can resist the charms of this devilish woman and is a character that personifies the power of beauty and knowledge. Channel her essence at this year’s Halloween party with scarlet red hair and green ensemble. Her makeup has an orangey tone to it but to make eyes pop we’d recommend going for a green smokey eye. We’re loving the skeleton themed costumes at Claire’s; if you’re looking for a skeleton with a personality then they’ve everything you need to channel the sweet natured and lovable Emily from Corpse Bride. Despite being a skeleton she has delicate features that are accented with makeup and a few scars here and there; she’s a great character to experiment makeup wise. To dress up as Emily you’ll need the following items and a white dress to complete. Floral headband and veil– don’t be afraid to muddy this slightly. Special effects kit– use this to create the scars across her cheek. 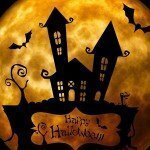 Claire’s complete Halloween shop is now open and includes complete costume sets, accessories, wigs, jewellery and makeup. In the coming weeks we’ll be sharing more ideas to help with your Halloween plans and next week launching a Halloween themed competition with Claire’s- it’s not to be missed!